Men’s Sizes: S 5-7, M 7-9, L 9-11, XL11-13. Soft Neoprene foot pocket construction eliminates chaffing and blisters. Non-elastic 1000 Denier Cordura toe pocket protects the toes and effectively transmits force to the molded blade. Left and right foot pockets are offset from the center of the blade to efficiently enhance the outside lift of each foot. 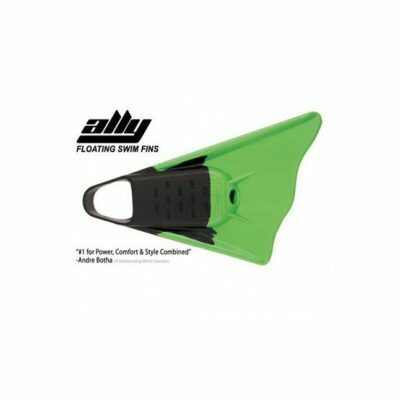 This toed-in placement of the foot pocket prevents ankle torque and creates a powerful thrust while keeping the blade tip perpendicular to the direction of the swimmer's path. Textured anti-slip sole with vents that flush sand and water. Nekton Adjustable Heel and Instep Straps: Fully adjustable heel strap provides a custom fit by holding the foot snugly in the foot pocket eliminating the need for an ankle leash. Lined with Neoprene for maximum comfort. Adjustable instep strap located on top of the foot pocket provides a secure fit regardless of individual foot shape. Lined with Neoprene for maximum comfort. Neofins unique combination of foot pocket design and adjustable heel strap provide a custom fit that accommodates a large range of foot sizes. Neofins unique combination of foot pocket design and adjustable heel strap provide a custom fit for a large range of foot sizes. The Adjustable Velcro instep strap located on top of the foot pocket provides a snug fit regardless of individual foot shape and accommodates a wide range of foot widths. The sizes listed below encompass half sizes. If your foot falls between sizes, order based on personal comfort, keep in mind, these fins have adjustable straps and flexible foot pockets.